Last week I was in France, to speak at the Ecrin Ice Festival. 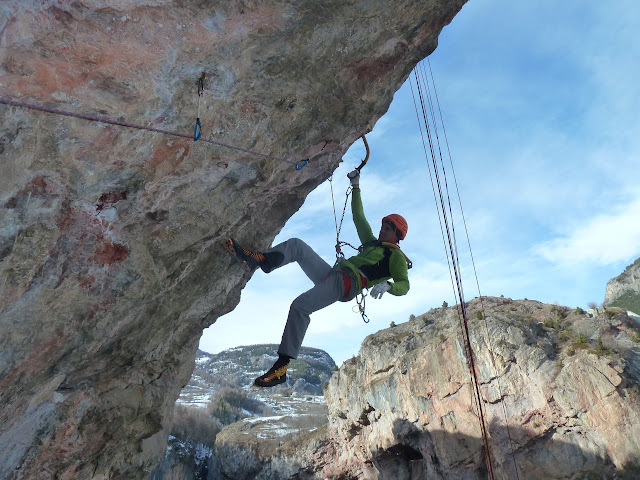 On one of the days, I had the opportunity to go and climb with some good climbers. Although I was still uncertain about going winter climbing, it would have been crazy to turn it down. So I turned up and heard from my climbing partners that the plan was to do a very overhanging 6 pitch M9 dry tooling route. This was kind of perfect. The bit I was most worried about was walking in for 30 minutes on snow. But that went fine and my arms proceeded to have a fine wake up call to climbing with tools again. The next morning we did a short ice route with a very rapid retreat due to everything melting around us and making scary cracking noises. 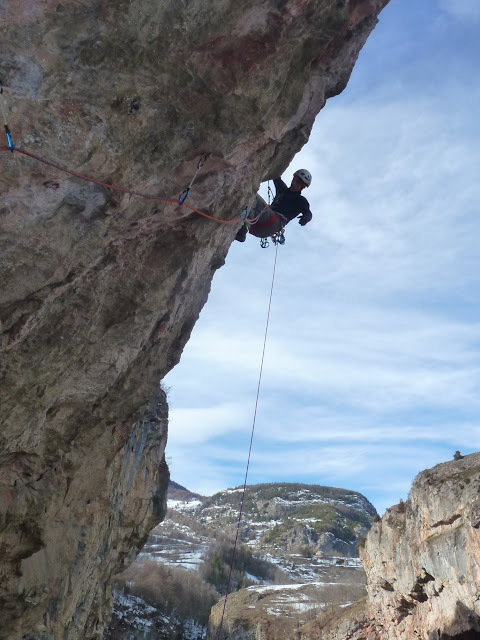 I was amazed that my foot was not sore the next day as I expected, and nice to add another first on my list of climbing comeback milestones (or perhaps metrestones). Obviously I felt quite rusty on the tools. It was quite heartening to see that I could still pull hard, but I’d forgotten so much of the subtlety of the movement in tooling, if I ever knew about it in the first place. I climbed the first pitch in ‘pull up contest’ style with not much weight on my feet. But watching Luca in action reminded me of a lot and by the final pitch I had improved a little. 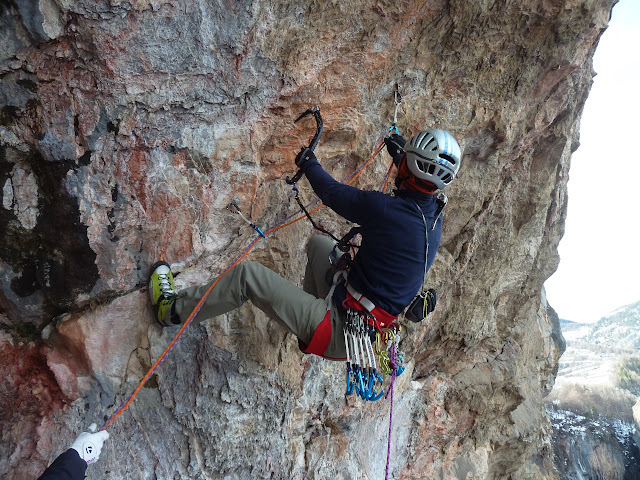 Luca relaxing on another M9 pitch! Since then I have stepped up the volume of training a little more, with a 5 days on, one off schedule. This was perhaps a little premature as I can feel my ankle a bit after that. However, it hurts in the context of everything else hurting from the work, so it’s not too bad. I’m still feeling fitter with every session and back up to doing 8a routes indoors. That is pretty much as hard as I’ve climbed indoors ever anyway. Quite soon I may well get the chance to try some hard sport routes outdoors too. Since it’s rest day time now, I’m back to full on writing of my book..